Menopause happens. 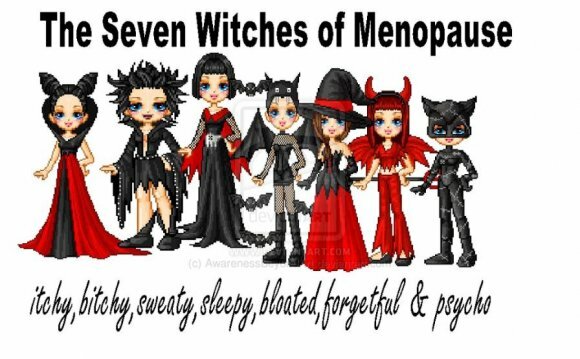 It's a natural transition, says ayurveda, and like all transitions, menopause has to be managed to minimize discomfort. Since menopause is the transition from the Pitta phase of life to the Vata phase, if a woman already has a significant Pitta or Vata imbalance in the years before menopause, things are likely to get worse during menopause, which is a period when hormonal and other natural changes take place in the body. Another factor leading to menopausal imbalances is the accumulation of digestive impurities (ama) in the physiology. Ama blocks the channels that transport nutrition to the cells and remove waste from the body, and thus contributes to menopausal problems. A third factor is the misuse or overuse of the mind, body, emotions, or senses. Basically, this happens when a woman strains her mind too much, is under too much ongoing stress or pressure, or is doing work that is too "heavy" for her body, or is under tremendous emotional stress. Diet can be a crucial tool in menopause management. Favor foods that are bitter, astringent and sweet, as these are cooling to Pitta dosha. Bitter and astringent foods include most vegetables. Sweet foods include rice, milk and cream, sweet lassi, and wheat products. Sweet, juicy fruits such as pears and plums also pacify Pitta dosha. Cook with Pitta-reducing spices, such as cinnamon, coriander, cardamom, fennel and small amounts of cumin seed. Apana Vata, which governs the genitourinary tract, elimination, and menstruation, is a key area to attend to when preparing for menopause. Drink plenty of warm water throughout the day. Eat plenty of cooked, leafy greens, as this helps elimination and is also a good source of calcium. For both Pitta and Vata imbalances, a breakfast of cooked apples and prunes and figs is a good way to start the day, as it balances the doshas and cleanses the digestion. It is also important to keep your digestion strong and free of ama. Avoid eating foods that are packaged, processed, frozen, canned or left over. Eat organic foods that are cooked fresh each day. The bulk of your diet should consist of whole grains, fresh fruits and vegetables, and legumes and light dairy products such as milk, lassi or panir for protein. This type of light but nourishing diet will aid your digestion and avoid the build-up of ama. Avoid heavy foods such as meat, cheese, yogurt and frozen desserts like ice cream, especially at night. Sleep is important for the woman entering menopause or going through menopause, because both Vata and Pitta imbalances can cause sleep problems that will only make menopausal imbalances worse. To keep both doshas in balance and to sleep more deeply at night, be sure you're in bed before 10:00 p.m. and that you arise before 6:00 a.m. This is the time of night when sleep comes easier and is more restful. If you stay awake past 10:00, it will be harder to fall asleep, and you'll also increase any Pitta imbalance, because 10:00 p.m. to 2:00 a.m. is the Pitta time of night, when the body needs to be at rest in order to cleanse and purify itself. For both Pitta and Vata dosha, it's important not to skip meals, and to eat your main meal at noon, when digestion is the strongest. Try to eat at the same time every day, and go to bed and wake up at the same time. Be sure to get lots of rest during your menstrual cycle as you approach menopause, because this will keep Apana Vata in balance and avoid the more serious complications of menopause. Daily exercise (gentle for Vata and not too overheating for Pitta) is also important for keeping all doshas in balance. The Graceful Transition line from Maharishi Ayurveda as a whole is designed to prevent and treat the imbalances related to menopause. It provides both general support and targets specific imbalances that women experience before, during and after menopause. The entire line is targeted especially for women of the West: women who have the Western physiology, live in that environment, or work in that culture. It addresses the dietary needs, lifestyle and stress levels of women who live a fast-paced life. This line, along with the Midlife for Women I and Midlife for Women II formulas, is designed to promote the overall emotional, physical and mental health of women. The products help keep the body free of ama and maintain the balance between soma (lunar energy) and agni (solar energy)-a balance that is vital for health during menopause and beyond. Mount Madonna Institute is a non-profit college specializing in the field of Yoga, Ayurvedic medicine, massage and community studies. The Institute is hosted by the Mount Madonna Center inspired by Baba Hari Dass.